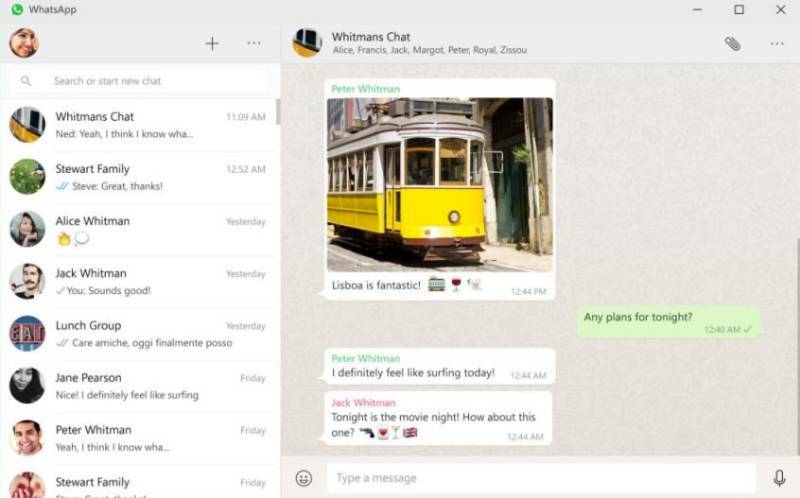 WhatsApp Desktop app for Windows 10 is now available in the Microsoft Store. This is a still not a native Universal Windows Platform(UWP) app. The new app is packaged using the Desktop App Converter for Project Centennial. The app features file sharing, editing profile information, sending GIFs and Emojis and viewing Status Updates. Messages friends and family for free. Keep in touch with the most important groups of people, such as your family or colleagues. With group chats, you can share messages, photos, and videos with up to 256 people at a time. You can also assign a name to the group, silence or customize notifications, and more. Some of the more personal moments are shared on WhatsApp, which is why we built end-to-end encryption in the latest versions of our app. When end-to-end encrypted, messages and calls are protected so that only you and the person you are talking to can read or listen to it, and no one else in the middle, even WhatsApp. Send PDF files, documents, spreadsheets, presentations, and more, without the hassle of email or file sharing apps. You can send documents up to 100 MB, so it’s easy to send what you want to the one you want. You can download the app from the Microsoft Store or from the link below.